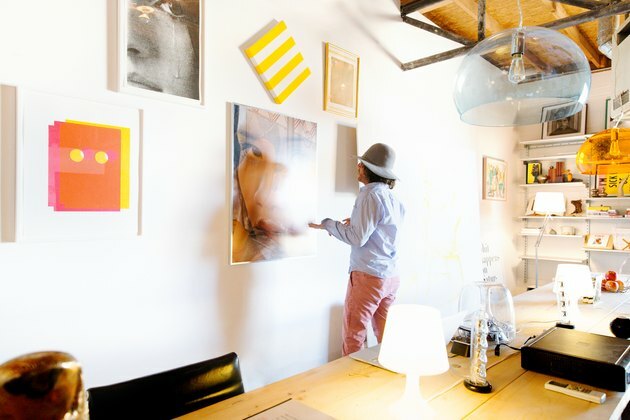 As a conceptual artist, one of Michael Phelan's hallmarks is the re-contextualization of icons of American culture — and so it comes as no surprise that his open concept compound in the one-stoplight high desert town of Marfa, Texas achieves the same spirit. 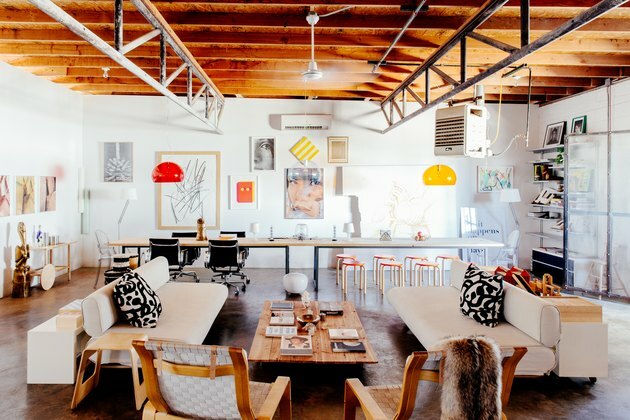 In its previous life, the home was a historic Texaco station, circa 1930; now, the 4,000 square foot industrial chic space, filled with contemporary works, is available on Airbnb for a one-of-a-kind stay in the heart of the Marfa's art world. Born in Beaumont, Texas, and raised in the middle class suburbs of Houston, Phelan is a Texas native who now splits his time between Marfa and New York City, along with his wife, art advisor and former gallerist Melissa Bent. He first came to Marfa is 2005 to do a large-scale installation at Ballroom Marfa, a gallery (housed in a 1927-era dance hall) that sits just across the street. 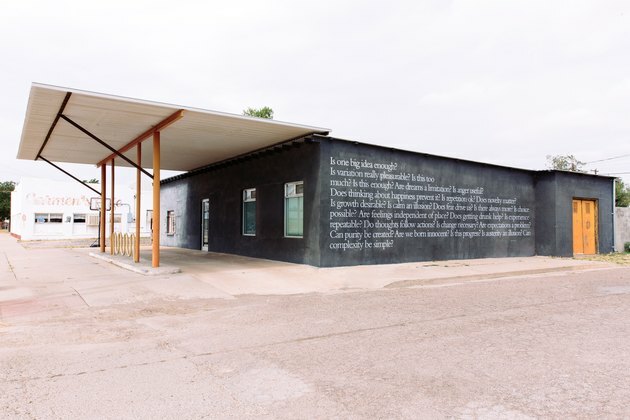 "After a 12 hour trip from New York City — there are no direct flights to Marfa, the closest airport three hours away, with a connection en route — I set out on my lunch break to explore the one-stoplight town, and soon came across what would become Colomo Marfa" he explains. It was an "empty shell of a building" with a "For Sale" sign. Phelan called the only realtor in town and arranged for a viewing on the spot, and bought it shortly after. Over the next 16 months, Phelan transformed the former service station into a high-concept masterpiece, with the help of a construction crew from the Mexican border town of Presidio. They left, intact, the heart of the structure — adobe walls, cement floors (with their battery acid stains), tin roof, and raw timber — elements that are classically modern Marfa. They created bedrooms, a gallery space, and a vast loft-like living area, and reimagined the former "ice house" into a spa-like area for bathing. 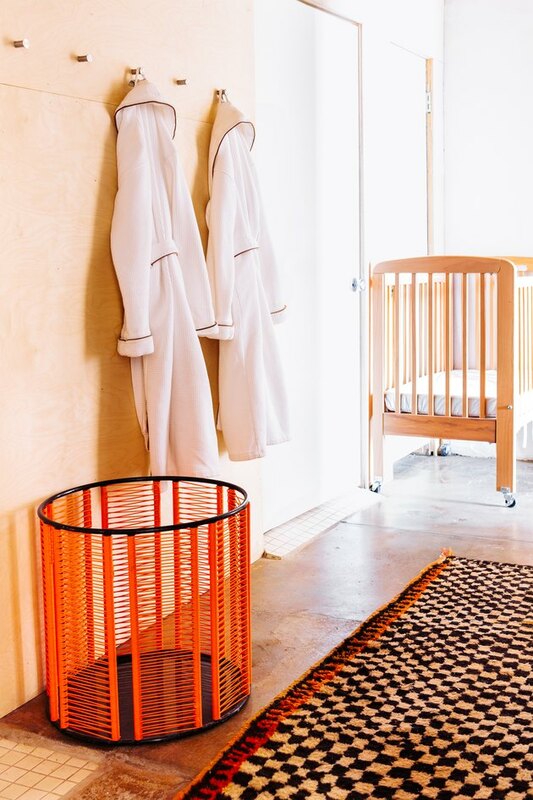 The aesthetic was derived as much from the Chelsea lofts Phelan was accustomed to in New York as from what locals call the "island living" mentality of the city. Set apart, as it is, 200 miles from the nearest airport, 170 miles from the nearest Home Depot and 60 miles from the Mexico border, Marfa residents typically have to make do with the materials available to them. Thirteen years later, Colomo Marfa is an iconic space, captured in the coffee table book, Marfa Modern and several shelter magazines. "This is our Lone Star bohemia that we call home," says Phelan. 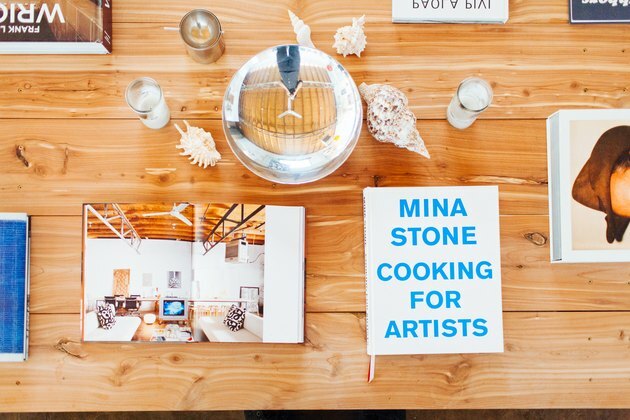 "[It's] an experience that can only be described as Marfa Magic." 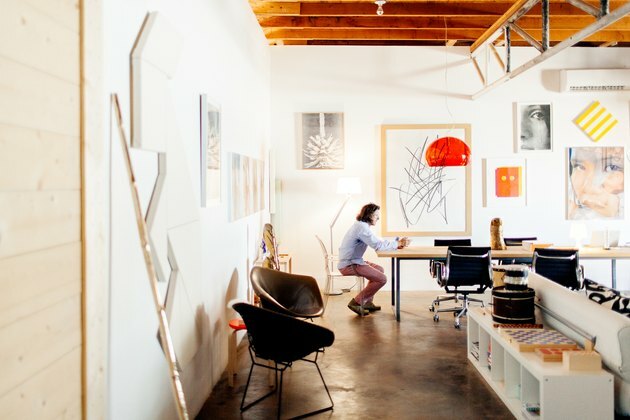 Phelan's aesthetic is captured in the coffee table book, Marfa Modern. The book sits atop the low-lying cedar coffee table that Phelan built himself, which acts as a central island in the open-concept living space. The home features a wide array of contemporary art, including a roster of top international artists, from Carol Bove to Darren Bader and Nate Lowman. Vintage 1970s Kartell Fly suspension lights float above a 20-foot long table used for work and dining. The former "ice house" of the gas station was transformed into a spa-like bathing area. 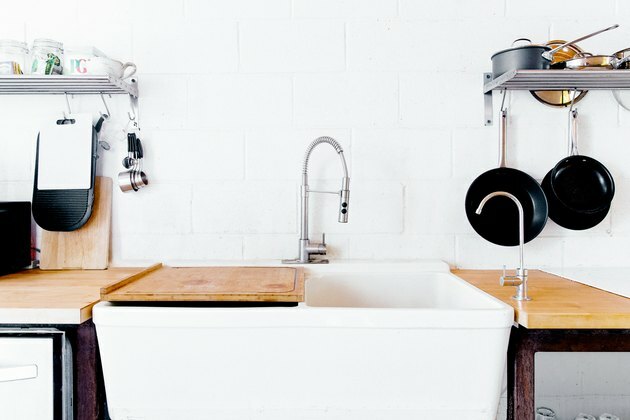 The kitchen is low-key, with industrial finishings and practical wood countertops. 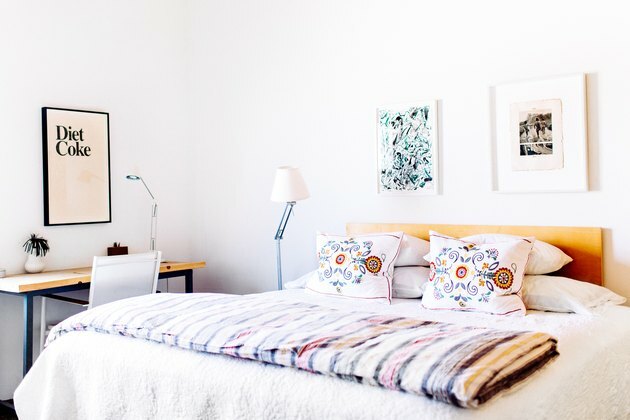 The master bedroom features modern textiles and contemporary art, all in Phelan's minimally furnished style. 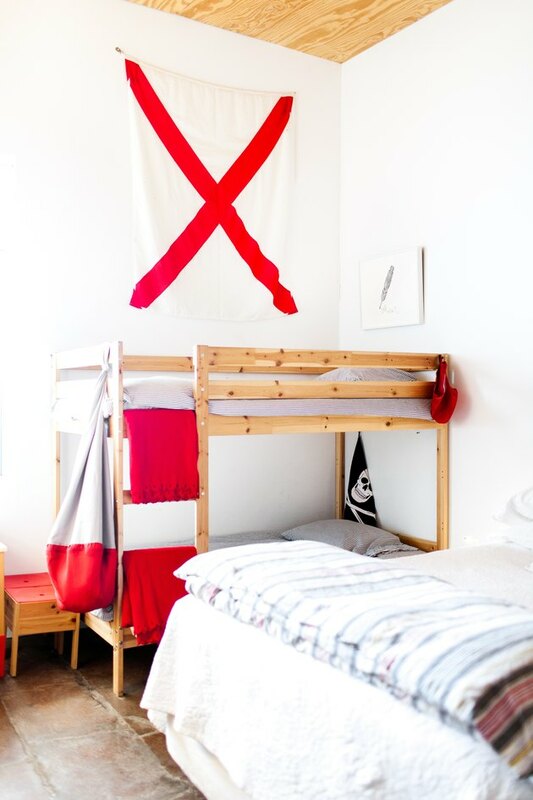 The second bedroom includes a child-friendly bunk, plus a queen, and bold splashes of color against a neutral palette. 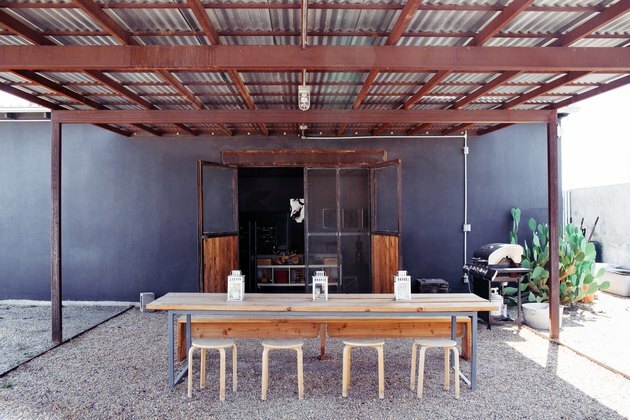 The outdoor dining area has all the hallmarks of Marfa contemporary design — simple lines, rough wood, and raw metals. 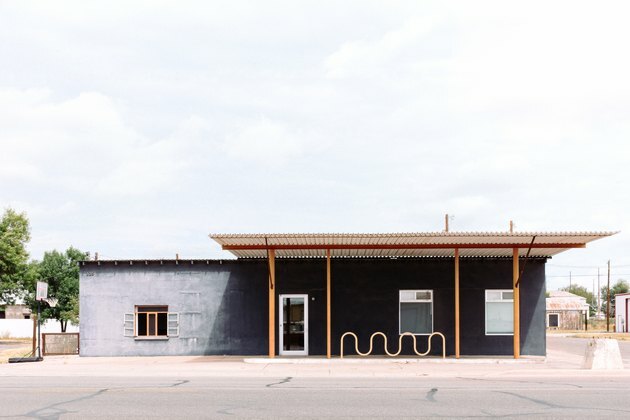 Phelan painted the former Texaco station "gunmetal" gray — his nod to the wild west. The text across the building's exterior poses big questions that don't have easy answers. 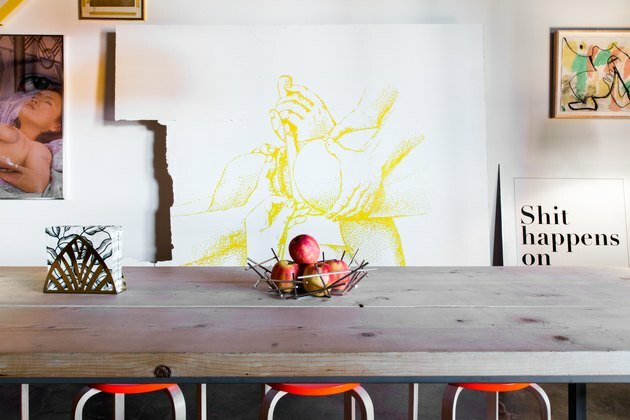 Like much of Marfa, it's the mix of high desert and high art that makes the space so special for guests. And for Phelan, it's the place itself: "Its vast desert landscape, otherworldly light ... and the promise of an uncharted desert utopia."